Start saving, Lego nuts (I include myself in this command) – there’s something coming that will knock your socks off. 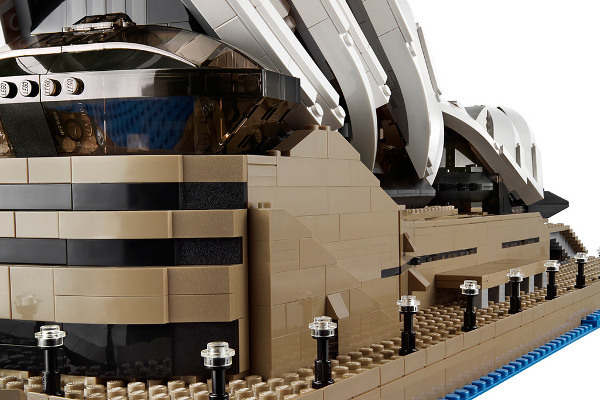 It’s not really for the small kids around us (and in fact, it might really be just for the adults) but the new Lego model of the Sydney Opera House unveiled at Brickworld Chicago last week is absolutely amazing. It’s part of the Lego Creator Expert series, and a quick glance will tell you why. 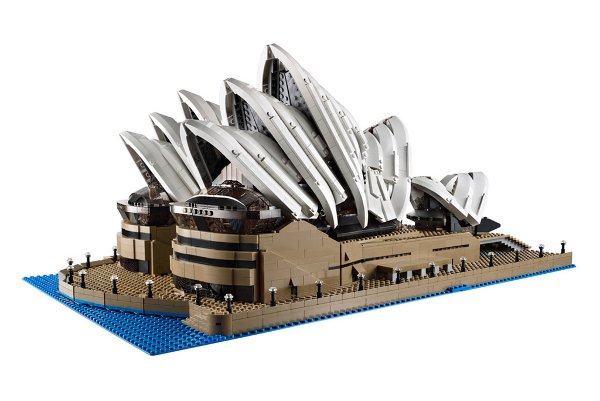 There is already a small version of the Opera House available within the Lego Architecture range, but you really can’t beat this new model for size and accuracy. As my husband said while I drooled over the pictures, “Wow. That’s a lot of steps!” – which is exactly what anyone who’s ever climbed those steps always says when they get to the top. At almost thirty centimetres high, and twice that in width, you’ll need a Sydney Harbour sized table to keep it on, but just look at the detail, Lego fans, and tell me you’d be able to resist? Die-hard fans might be interested to watch the video below where the designer talks a bit about how the set is put together, and some of the elements which make it so special. Now they just need to release some green and yellow ferries to sail past! 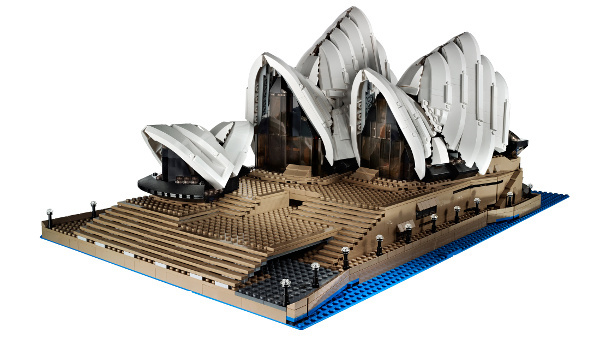 The Sydney Opera House set (10234) will be available from the Lego Store and other retailers from the beginning of September 2013. The Australian recommended retail price is $399.99.